On December 16, 2018, Piano Lovers presents its second annual Beethoven Birthday concert following its sold out inaugural occasion. 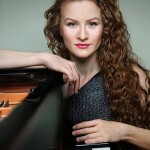 Pianist Asiya Korepanova is featured in the Hammerklavier sonata, a rarely played masterpiece that in many ways shows some of Beethoven’s most mature piano writing. The audience will be treated to a fascinating contrast when Ms. Korepanova performs Beethoven’s very first piano sonata – in many ways his answer to Mozart on the piano. And for good measure, a performance of Beethoven’s delightful Eroica Variations. We hope you can join us!